It’s going to be Oh-Kaayyy… Really. PARENTS!! It’s going to be Oh-Kaayyy. Really. 1) NOT. FREAK. OUT. It might be challenging if you’ve never stood up to authority before. It helps to take a deep breath. “Please provide that rule/law (about whatever it is you’re being told will or won’t happen if your child opts out) – IN WRITING WITH SOURCE CITED on district letterhead.” If you’re feeling spunky, say this as sweetly as you can muster. The bullying usually stops right there. WHEN they can’t provide it in writing, proceed normally with your opt out. (Nothing to see here, move along.) They are *probably* just repeating back to you, what someone has told them, and they have just assumed it is a fact. Many schools are under-informed. Unfortunately, this is a process that many of us will go through as we “introduce opt out” and wake up our happy little schools from their dream. But folks, here’s the thing. THEY are right. THERE IS NO OPT OUT. 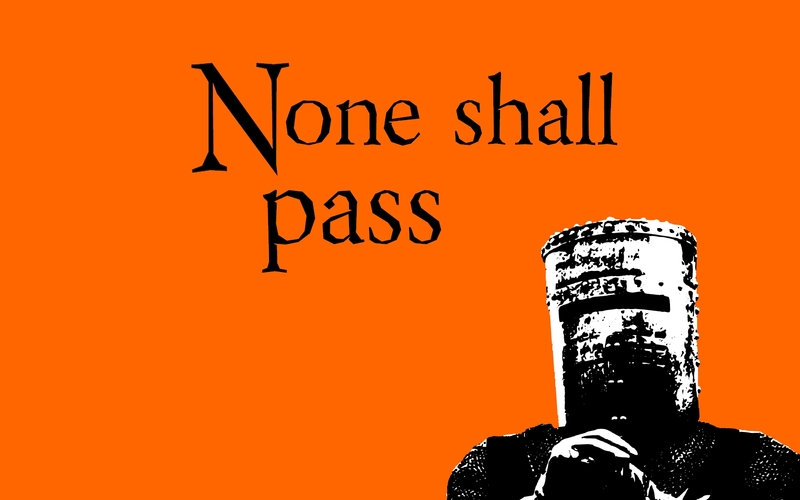 There isn’t. We’re not asking for permission or for the option, or permission to do this. We might INFORM them. As a courtesy. If we wish. Call it civil disobedience if you want. Call it whatever you want. Refusal. Noncompliance. At this point, they’re just words. But basically, you are doing the one thing you have the power to do. Deny the data. The children PARTICIPATE TO THE EXTENT THE LAW REQUIRES. They open their paper test or log in to the computer test. They put their pencils down or log out and submit test without answering any questions. 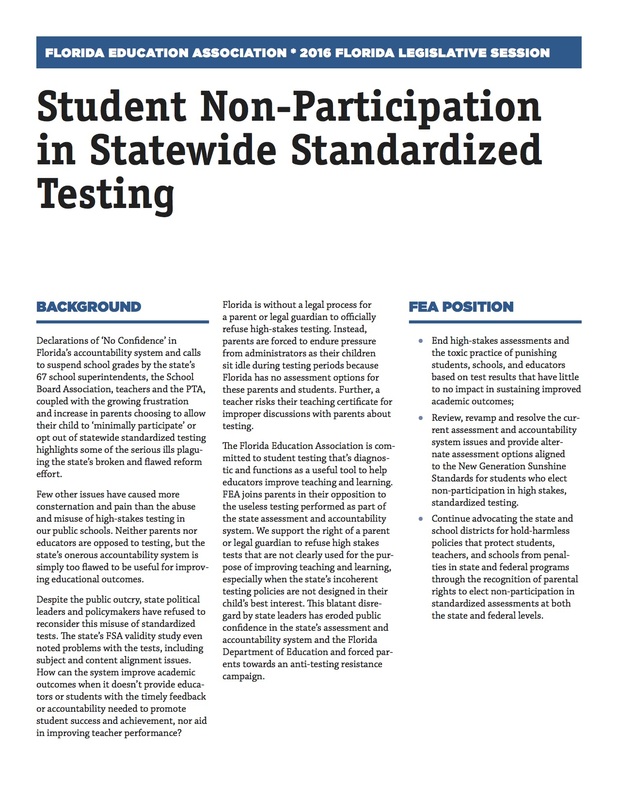 The FLDOE does often “adjust” their definition of participation, as it suits them. *If you DO receive something on letterhead, there is help available. Reach out to your local Opt Out group here: http://bit.ly/LocalOptOutGroups. If you receive the obligatory bully letter, don’t be intimidated. 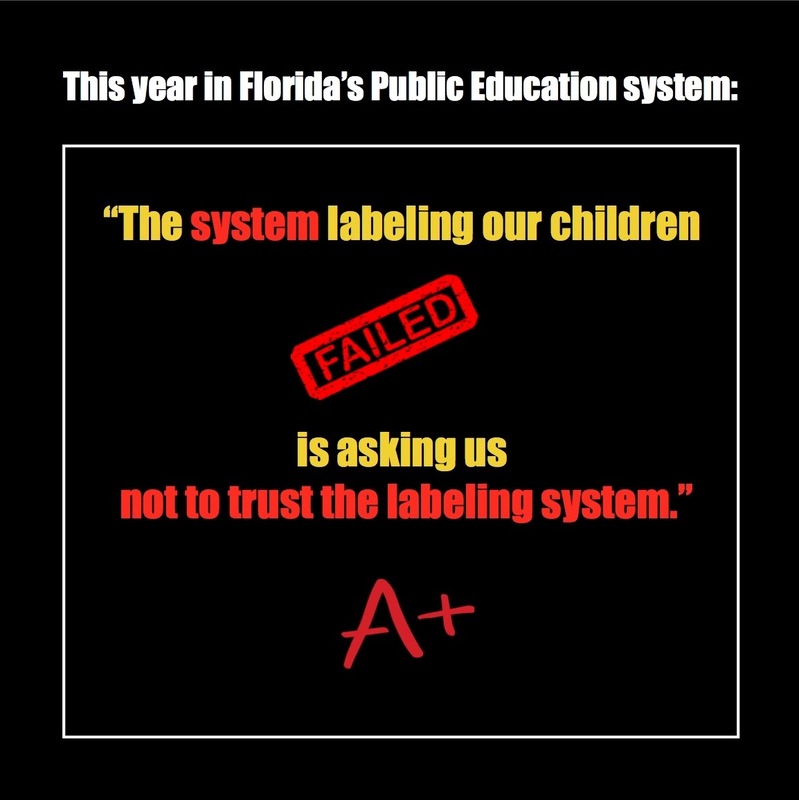 Just remember that in years past, the FDOE reported that 20,709 tests were successfully refused (Orlando Sentinel Oct. 9, 2015). And because of the way they were reported by the FDOE’s Magic Math, we KNOW that there were more. 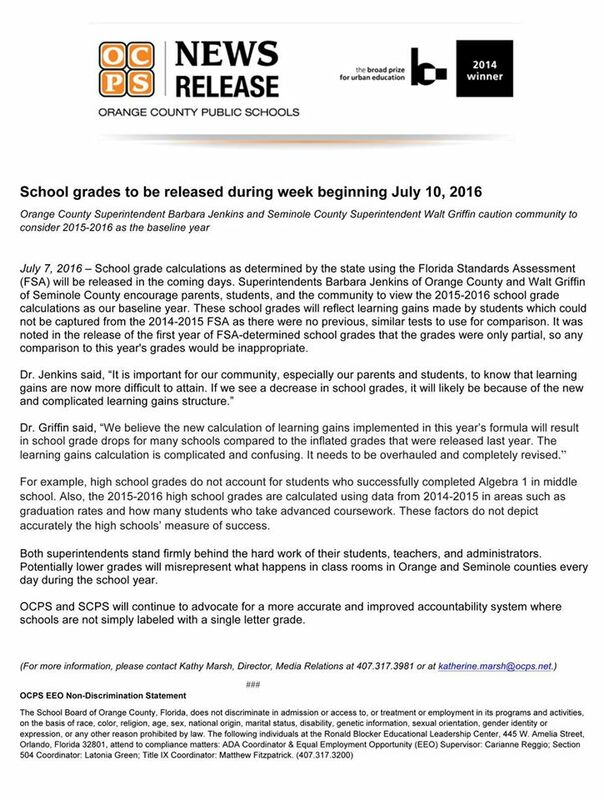 So maybe there is no “Opt Out, according to Florida’s Commissioner of Education. And yet, TENS OF THOUSANDS of students have opted out every year in Florida since 2013. Thank you for being in this fight with us. We need every one of you here. Spread the word. Your friends will appreciate it. Every refusal matters. Your refusal matters.